Last month, near the end of a decade that’s seen most daily newspapers practically hurling reporters, designers, and editors out the windows, the quarterly literary magazine McSweeney’s morphed into a Sunday-sized newspaper for one issue. The one-time San Francisco Panorama indulges in free-form, full-color broadsheet design, defiantly long-form reporting on subjects local (the unbelievable cost of the new Bay Bridge) and international (dispatches from Iran and Afghanistan), experimental record reviews, and other things that have increasingly become luxuries or impossibilities to so many in the atrophied world of daily newspapers. The Panorama, copies of which quickly sold out in San Francisco, honors the role of dailies in a humble yet experimental fashion—”How [newspaper publishers] do this every day we will never know,” the staff box proclaims. The Panorama also doesn’t shy away from contradiction: Parts of the front news section are lighthearted and informal, courtesy of anecdotal city-life bits (“A car with its front bumper detached on one side has been sitting at the corner of Roosevelt Way and Buena Vista Terrace since early November…”), and parts of the comics section are apocalyptic and dour, courtesy of artists like Daniel Clowes, who leads the section with a bitterly satirical comic called “The Christian Astronauts,” and also designed the Panorama’s logo. In a way, this completes a full circle for McSweeney’s founder and editor Dave Eggers, who, in his 2000 book A Heartbreaking Work Of Staggering Genius, recalled doing freelance design for the San Francisco Chronicle to pay rent. While journalism struggles to redefine itself on the Internet, Eggers maintains that “print is a more calm, and maybe even civilized, delivery vehicle,” and wants the Panorama to demonstrate things print can do that web content can’t. The day after the Panorama’s release, The A.V. Club called up Eggers to find out what his favorite things are about newspapers. 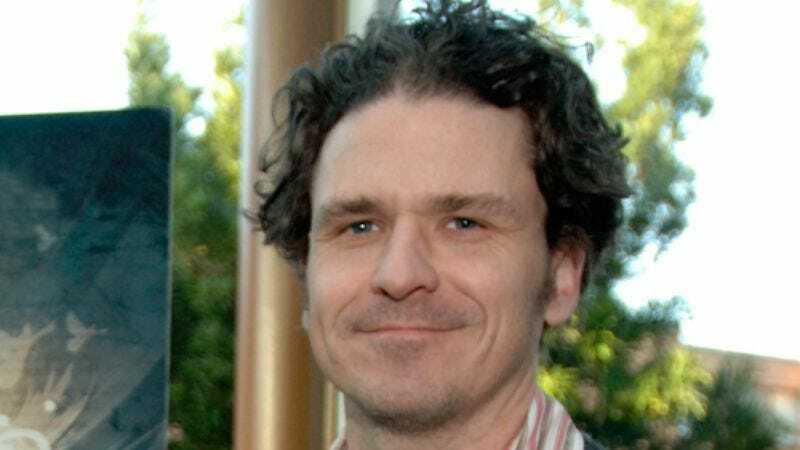 Dave Eggers: Since we’re talking to The Onion, I’ve only read The Onion on paper, and maybe once or twice online. I used to get The Onion every week at 21st and Valencia, a couple blocks from our office, and when you stopped printing it for San Francisco, it was a very dark day for me, because I don’t enjoy reading online. I just feel like it’s two separate things. When I’m doing work online or on the computer, it’s one thing. When I want to read, I want to go elsewhere, and I want to be away from the screen. I worked at Salon.com way back when they started, and there’s just unmeasurable value to distributing words online, too, but I still get my news from the newspaper in the morning. I was in Madison a few weeks ago, and I got my paper Onion again. I just have an affection for paper, and that’s no secret, I guess. Outside of that, there’s all these other reasons that we went into it. One is that I have so many friends at newspapers across the country who are laid-off or worried about being laid-off, and worried about the future of journalism. To me, the print business model is so simple, where readers pay a dollar for all the content within, and that supports the enterprise. The web model is just so much more complicated, and involves this third party of advertisers, and all these other sources of revenue that are sort of provisional, but haven’t been proven yet. We’ve lost that very simple transaction that’s so pure, where a reader can say, “I support what you’re doing, here’s my dollar. I know that you guys are gonna be watchdogs or keep the government accountable, so here’s my 50-cent contribution each day.” It’s just so tidy, and I think so inspiring. The A.V. Club: Were you trying to recapture things that you miss about newspapers from when you were younger? DE: Yeah, a lot of that. I grew up with the Tribune and the Sun-Times in Chicago. I read both every day, my dad brought them home. The Tribune in particular was always a designer’s paper. There was always a full-page diagram showing how speed-skating works, or how a certain football play was put together, and I love that kind of stuff, and different ways to present information. I think it’s a shame when there’s a concentration on wire stories. Any given city, certainly in San Francisco, there’s something like 50,000 writers, probably, in the metropolitan area, so to assign freelance work for them is no huge feat. Instead of running a wire story about Afghanistan, we knew a guy going to Afghanistan, J. Malcolm Garcia, and we said, “Okay, send us something when you’re done.” And he sent us something, and it doesn’t even cost that much, because he was going anyway. AVC: Another thing you get into here that’s pretty untapped is collaborating on stories with non-profit groups, like your cover story about the Bay Bridge with an organization called SF Public Press. DE: Yeah, I think you’re seeing a little bit more of it. I saw something in The New York Times that was done with ProPublica, and something else that was done with Spot.Us. In our case, they took care of the fundraising and a lot of the details. They found [reporters] Robert Porterfield and Patricia Decker. All we really did was help along the way a bit, and on the back end, we did an edit or two on it. Michael Stoll and Michael Winter, the guys we dealt with at Public Press, had decades of newspaper experience between them. A lot of this experience is being lost, too. A lot of the master journalists are taking the buyout and being laid off, and a lot of them are at these non-profits now. We make it an outlet, and we’re able to publish this 16,000-word, great piece of reporting. I hope that you’d see more of it. I should emphasize that I take pains to make sure no one thinks I know their business better than they do, because I don’t. We’re just underlining some of the things they already know. A lot of the old model will have to be examined, and I think in a good way, especially when they have to cut their full-time staff. The partnerships add new brains to the operation. AVC: Did you draw a lot of inspiration from older newspapers? Some of the little city-life anecdotes in the first section point to the kinds of things you’d see way earlier in the 20th century, or—closer to our times—Mike Royko columns. DE: Well, I loved Royko growing up. When you opened the Trib, Royko was on page three. He was like the voice of the city, the first thing anybody read. I don’t know too many papers now that have a columnist up front, prominent, but I think newspapers should always have a voice. We put Peter Plate on the second page to kind of be a voice of the city, and Daniel Handler on the third, and the first column is vignettes that are kind of based on a 19th-century French model, where you would get these little short bits of things that happened in the city that are told in a particular way, that give you the flavor of the city, rather than being overly dry. Some of them are very pedestrian—somebody dumped their garbage out the window and it hit this man, or whatever—but it gives you the real, everyday, what it means and feels like to live in the city and work in the city. Jesse Nathan, one of our managing editors, had that idea, to use those, so those were written in the week before by everyone from novelists to our staff. AVC: In the front section, you’ve got a story about a shifty landlord with the headline “We have no comment thank you very much.” Reporters get that from people every day, so it’s kind of satisfying to have that turned around on someone, rather than treated as just this matter of course. DE: We wrote those headlines late, and we wanted them to have a verve to them. I think that instead of sort of wiping clean any personality, we wanted to have each one of them have a little bit of a kick. Not in any sort of sensational way, but a bit offbeat, maybe, or a bit intriguing, instead of saying, “Lembi Group Is Bad Landlord,” or something like that. I think that you can put a bit of personality into it if you know the story well. It just seemed to reflect the spirit of the story that Richard [Parks] wrote, and he liked it. AVC: What were the most surprising or unexpected things you’ve learned about making a newspaper? DE: We’ve been on a quarterly schedule for a long time. We’ve put out books in the meantime, but they’re rarely very intensive in terms of the combination of images and text and captions and headlines. We’ve done a few books that have had all those elements, but we’ve had six months to do them. The fact that there are so many details—you know that there’s gonna be that many details—I’ve put out magazines and I’ve worked on newspapers. But when you have a team of five, which is really what we had, and you have to do all of these different things, it just seems to never end. I can’t count the number of times when we were about to send a section to press and we realized we didn’t have any page numbers on it. It was detail number 900. If we were gonna do it again, we’d have templates for all these sections. The Bay Bridge story went to press at 3:30 p.m. the day before we came out. Everybody there was fact-checking and proofing over and over until the last minute. I was in charge of processing the proofs and making sure that any changes suggested needed to be made, and then giving them to Chris Yin, who was doing the production on it. The level of intensity and stress and how much is at stake if you get one digit off—it’s so easy to make a one-digit error that could actually be damaging or libelous or just plain untrue, and thus immoral, I think. I knew this at college when I worked at a daily and used to put it to bed at night, but I don’t know. My respect for everyone that works at every daily, especially those that send it off at night, is just through the roof, because if they have four or five errors a day, it’s pretty remarkable, given how many moving parts there are. AVC: What kind of response are you getting from people who work at daily newspapers? DE: Well, we’ve only really heard from people who work at the San Francisco Chronicle, because as far as I know, we might have only sent 20 copies outside of San Francisco. It seems like it’s been good, but my friends at other papers haven’t seen it yet. I was just about to hand one to one of the writers in D.C. that wrote for it, so he hasn’t seen it yet. All we’ve heard about it is from our friends at the Chronicle, who’ve been incredibly supportive and positive and really liking it. We’re gonna start having meetings about how we might collaborate a bit and bring some more of this kind of thing into the city. We’re happy to help out or collaborate in any way they see fit. We had a party the night that it was released. Just about everyone I knew in newspapers in the city was there. It was a joy among everybody, because everyone knew that all the copies in the city had sold out in 90 minutes, and that meant something, that people really do care about print. I knew this, and I’d been telling everyone that. It’s easy to just throw a broad stroke over everything and say, “Oh, print’s dying,” and ignore the 104 million people that read a daily paper every day. It’s just too easy to make these baseless generalizations. I think we’re programmed to declare something dead once a week. “Oh, the bicycle’s dead. Analog watches are dead. I don’t know, what’s gonna die now? Mahogany cabinets, those are dead.” People come up with something to kill every week. It is an adjustment period for newspapers, for sure, but they are anything but dead, and I think that it was a day that sort of proved that to a lot of my friends who work at papers, who needed it proved to them. AVC: The irony is that some of the people who are doing the best innovation with web journalism and print design are the old newspapers, like the Times or the Washington Post. DE: The old-school journalists—we started with Robert Porterfield on this, who’s been around at the Globe and Newsday and has won a couple Pulitzers. We built it around him working on this Bay Bridge article, because that has to be the start of it, telling us something that’s important to us as a community. I had just gone over the bridge every day sometimes, and just went, “Boy, I don’t know where all this money’s going. The delays are constant and the money just keeps going up, and the Bay Bridge toll just keeps going up, and where is it all going?” I thought, “Well, this is a perfect kind of thing for a great reporter to get on it and do the accounting and make it public.” Bob got on it and started filing Freedom Of Information Act requests and got a team behind him and went to these meetings of these sort of semi-secret committees that were controlling all the money, and he did all the real reporting. I would never have known what to do. It would have taken me two years to do what he did in three months, because I just don’t even know where to start. That’s what’s being lost here and there, is the experience of a guy like that. It’s built around hard news, and it’s built around investigative articles, and it’s built around giving writers enough time to tell the story well. It meant everything to us to get the respect of the real working reporters, and I feel like a lot of them have gotten behind it. AVC: How did you come up with the diagram-inclusive album reviews in the arts section? DE: That was Lauren LoPrete, who’s a design intern, and she’s been with us since the beginning of this. We also had some interns over the summer, and I just told them to go nuts and try to think of some new way to present the information. Lauren knew that she had a full 15”-by-22” page to experiment with. So she had the pie graphs and the track enjoyment, and she had a prototype for that back in May, and we just sort of refined it and plugged in reviews that were timely. Every designer was given a wide berth. A few pages later, you had that SF Sound thing, that a firm called Volume, run by Eric Heiman, put together. An old Chronicle reporter, Reyham Harmanci, reported it, and they had meetings with bands and music experts, and they sort of tried to make it definitive. But also, we just gave them the space. So we gave them that kind of freedom. As a former freelancer and still a current freelancer, I really like it if people trust you to do something good with that space. AVC: Do you find it at all strange that the Panorama came out the same week that Editor & Publisher announced it would fold? DE: I could not believe that. I really couldn’t believe it. I don’t know the numbers on that. I know that there have been some other closings of publications that have baffled me, because they have a big healthy circulation, a bunch of subscribers, and they still close. To me, having run McSweeney’s for 10 years now, I don’t really understand the numbers there. If I apply my math to those magazines, it seems like you could still stay in business and be pretty healthy. Anything with 5,000 subscribers, you can pay your staff, but I think it just really depends on what scale. The paper-based media really has to work within a rational scale, and if they do, they’ll be fine. There’s plenty of room, people really care, there are magazines that people will fight to hold onto. You might not be able to operate your own LearJet and have an unlimited expense account, but if you have a reasonable expectation for a print-based product, whether it’s a newspaper or a magazine, you can certainly exist. Your readers will make sure you exist. Even a small-but-dedicated readership like we have at The Believer or McSweeney’s or Wholphin, all of those entities exist and do fine on a very small scale. We’re not buying buildings or baseball teams or things like that, but you can definitely exist and plug along.